Brazil introduced transfer pricing rules in 1996 with the enactment of Law No. 9,430/1996, which aims to control the artificial transfer of profits to related parties abroad and to individuals or companies located in low-tax jurisdictions or subject to privileged tax regimes. To achieve this goal, Law No. 9,430/1996 established a set of methods to determine the maximum deductible price for import transactions and the minimum taxable revenue for export transactions. Consequently, in relation to import transactions, the Brazilian transfer pricing rules state that the costs incurred by Brazilian companies in respect of their imports that exceed certain specified parameters are not deductible for tax purposes. With regard to export transactions, transfer pricing rules establish that, if Brazilian companies charge less for their exports than certain specified parameters, the difference between the revenue recorded in the accounting books and the minimum revenue established by the method is subject to corporate income tax (IRPJ) and social contribution on net profits (CSLL) in Brazil. Brazil has not adopted the arm's-length standard in full, in primarily opting for the use of predetermined profit margins, subject to some exceptions. Brazil does not adopt the 'best method rule', according to which taxpayers should adopt the transfer pricing method that provides the most reliable arm's-length result. Under the Brazilian transfer pricing rules, taxpayers may choose any method admitted under the law. Brazil does not apply transfer pricing rules to royalties, fees for technical assistance and scientific and administrative fees. These amounts are subject to quantitative restrictions in respect of the deduction of expenses and to a withholding tax on the remittance of the income to the beneficiary abroad. Brazil does not permit the application of transactional profit methods (i.e., the profit split method and the transactional net margin method (TNMM)). Brazil does not provide for correlative and secondary adjustments. Brazil does not enter into advance pricing agreements (APAs). Brazil uses safe harbours that prevent the application of the methods to determine the parameter price if the taxpayer complies with safe harbour requirements. Brazilian transfer pricing practice is an alternative for the protection of tax revenues against base erosion and profit shifting. The recent proposals presented in Actions 8, 9 and 10 of the OECD/G20 BEPS initiative to ensure that transfer pricing outcomes are in line with value creation indicate that current transfer pricing rules based on the arm's-length standard cannot deal with the changes in the global corporative business environment. In the view of the Brazilian tax authorities, it is difficult to achieve significant results with the application of a functional analysis to transfer pricing, while predetermined profit margins, at least, ensure a minimum level of taxation in Brazil. In addition, the arm's-length standard as adopted by the OECD may be too complex and costly to be applied consistently by developing countries. Consequently, the adoption of a more straightforward mechanism, such as the predetermined profit margins, permits developing countries to counter the manipulation of profits between related parties. Also, despite the risk of economic double taxation, predetermined profit margins may bring about greater certainty for taxpayers, as it is possible to know in advance that, once the methods are applied, the amount to be taxed will not give rise to significant litigation. an individual or legal entity, resident or domiciled abroad, in relation to which the legal entity domiciled in Brazil is its exclusive agent, distributor or dealer for the purchase and sale of goods, services or intangible rights. In addition to the above, Brazilian tax laws also provide that transfer pricing rules shall apply to transactions performed between a Brazilian company and foreign persons located in low-tax jurisdictions or subject to a privileged tax regime, regardless of whether there is a relationship between them or not. Article 19 of Law 9,430/96 describes a safe harbour, which, if the taxpayer manages to comply with it, would waive the preparation of calculations and adoption of methods to determine a minimum standard price to be charged. Under this rule, the taxpayer would not need to calculate the transfer pricing of its intercompany transaction if the amount of revenues it derives under the relevant transaction is greater than 90 per cent of the average price charged on the sale of the same product or the provision of the same service in the Brazilian market. The comparison must take place in the same period and under similar payment conditions. Brazilian tax legislation also provides for a margin of divergence rule, which states that the minimum standard price determined based on one of the methods described above will be satisfactory, provided that the margin of divergence deviates by up to 5 per cent or less in comparison to the amount found in the import or export documents. Regarding the documentation requirements, the taxpayer must prove that its import and export transactions comply with one of methods set forth by Law No. 9,430/1996. Brazilian tax law does not specify the documents required from taxpayers, who are free to use all documents available to prove the conditions of their transactions, such as written agreements, invoices, spreadsheets and payment receipts, among others. Documents in foreign languages must be translated into Portuguese by a sworn translator. The transfer pricing adjustments must be calculated on an annual basis (on 31 December of any given year) and reported on the annual tax return, which is part of the Tax Accounting Bookkeeping (ECF). Unlike other countries, in Brazil taxpayers must only inform the transfer pricing adjustments in their tax return, without the formal submission of the documentation package. Thus, the supporting documentation will only be required in case of tax inspection, on which occasion the taxpayer will have to demonstrate that the transfer pricing control has been determined in accordance with Brazilian tax law. Except for the import of commodities, in respect of which the application of the PCI is mandatory, taxpayers are free to calculate the standard price on imports according to any of the methods described in the table above. However, the chosen method must be applied consistently throughout the calendar year to each type of product or service imported. If the import price effectively applied exceeds the highest standard price calculated according to the method chosen, any excess is not deductible for corporate tax purposes. In general, legal entities domiciled in Brazil have the possibility to choose, among the methods available in Law No. 9,430/1996, the one that best suits their interests, except for PCI and PECEX, which are mandatory for transactions with commodities. As can be seen, contrary to what happens in the international practice, Brazilian tax law adopted predetermined profit margins in the control of transfer prices, in a clear concession to the principle of practicability. This means that the main focus of Brazilian tax law is to avoid the base erosion and artificial transfer of profits through the manipulation of prices, to the detriment of the calculation of the wealth effectively manifested in each jurisdiction, according to the assets, risks and functions assumed by each contracting party involved in the legal transaction (functional analysis). It should be noted that the methods set forth by Law No. 9,430/1996 are strict and objective, which means that the taxpayer is not entitled to apply alternative methods to prove that the price actually practised reflects the market standard, free of interference and manipulation. Likewise, tax authorities are not allowed to use alternative methods to arbitrate the parameter price, with the purpose of avoiding profit shifting. the London Interbank Offered Rate (LIBOR), for the term of six months, in other cases. Similarly, in the case of loans granted by a domestic entity to a related party abroad, the lender in Brazil must recognise as minimum interest revenue an amount determined in accordance with the rates established above, increased by the spread determined by the Minister of Finance. The spread to be determined by the Minister of Finance must be based on the market average. Currently, Ordinance MF No. 427/13 provides for a spread of 3.5 per cent for the deductibility of interest expenses and a spread of 2.5 per cent for interest revenues. Since the enactment of Law No. 12,715/2012, all loan agreements (registered or not with the central bank) should now comply with the transfer pricing rules. Prior to the amendment, only interest payments performed under loan agreements not registered with the central bank were subject to the transfer pricing rules. These rules are applicable to loan agreements entered into as from 2013, regardless of their registration with the central bank. This registration is still required for regulatory purposes. Loan agreements concluded before the entry into force of the new law (i.e., before 31 December 2012) remain subject to the prior transfer pricing rules. Brazil has recently introduced the country-by-country report (CbCR), by means of Normative Ruling No. 1,651/2016, for which reason there have been concerns expressed by companies about whether the information they report will be kept confidential and will only be used by tax authorities according to the Action 13 of the OECD/G20 BEPS. Within the OECD countries, the CbCR is part of a three-tiered structure, along with a global master file and a local file, which together represent a standardised approach to transfer pricing documentation. However, in Normative Ruling No. 1,651/2016, Brazil has only introduced the CbCR in itself, without the global master file and the local file. This is because Brazilian transfer pricing rules are primarily based on predetermined profit margins. Therefore, Brazilian tax authorities will not be able to use the CbCR for transfer pricing purposes. In the international setting, the CbCR will provide tax authorities with relevant information to start a robust transfer pricing analysis. Nonetheless, as previously mentioned, Brazil does not follow the international standard and the OECD Guidelines for transfer pricing purposes. Therefore, tax authorities in Brazil will probably not rely on country-by-country information to make transfer pricing adjustments, since the methods set forth by its domestic laws are primarily based on predetermined profit margins. Thus, country-by-country information will probably be used by the Brazilian tax authorities to challenge the lack of substance of legal entities incorporated abroad. With regard to the protection of confidentiality of the taxpayer information, it continues to be a serious concern relating to the exchange of country-by-country information. The transmission, use and storage of a large volume of information may pose a serious challenge for certain countries, since the management of such information depends on technological development and internal administrative capacity. In this scenario, it may be difficult, especially for developing countries, to implement the requirements for the protection of confidentiality of country-by-country information. Further, the CbCR will not be disclosed publicly in Brazil. Finally, when it comes to the risk of leaking information, the ideal solution would be the establishment, in international agreements related to the exchange of information, of the joint and several liabilities of both countries involved in case of damages caused to the taxpayer by the leakage of CbCR information This is because, if a foreign state discloses, by malice or negligence, confidential information, the taxpayer will probably face several procedural difficulties filing a lawsuit against foreign tax authorities. With this mechanism of joint and several liability, the taxpayer would sue its own state of residence if relevant information from the CbCR is leaked. the possibility of sale in connection with other tangible products (embedded intangibles). Brazilian tax legislation does not provide for a specific method for transactions with intangible assets, which implies that the same methods analysed in Section III must be applied by both taxpayers and tax authorities. In practice, within the Brazilian tax system, the PIC and PVEx methods can only be applied for transfer pricing purposes if there are other transactions with identical or similar intangible assets, under similar commercial and economic conditions. Similarly, the CPL and CAP methods may be used for transfer pricing purposes if it is possible to measure the cost of production of the intangible asset, in spite of the difficulties arising from the confidentiality involved in its formation. The PVA and PVV methods may not be used, since these methods are specifically for goods traded in retail or wholesale markets located in the destination country. Along the same lines, PCI and PECEX are specifically for commodities. 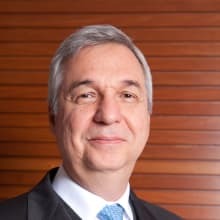 As can be seen, the application of Brazilian transfer pricing rules to intangible assets raises difficulties in concrete cases, because the methods are based on predetermined profit margins and the domestic law does not allow the application of transactional profit methods (i.e., profit split and TNMM). That being said, it should be noted that Brazil does not apply transfer pricing rules to royalties paid in consideration for the use of trademarks, patents, the provision of technical assistance, the transfer of know-how and for administrative assistance. However, the deduction of such expenses for tax purposes is subject to specific limits and conditions, which are intended to counter base erosion and profit shifting. The fact that the payment of royalties is not subject to the transfer pricing rules reduces the focus of tax authorities on transactions with intangible assets, since these are the most significant intangible transactions carried out by Brazilian companies. The deduction of royalties is limited to 1 to 5 per cent of the net sales price of the product or services connected to the patent, provision of technology or technical assistance. The limit varies according to the business activity and the importance of the product or service in question for the Brazilian economy, as determined by Finance Ministry Ordinance No. 436/1958. The deduction of royalties paid for the use of trademarks is limited to 1 per cent of the net sales price of the products, or the services, bearing the trademark. Finally, Brazilian tax legislation provides that royalties paid to partners (individual or legal entities) or managers are not deductible for tax purposes. Transfer pricing settlements with the tax authorities and APAs are not applicable in Brazil, in the absence of express legal provisions. However, in special circumstances, Brazilian tax law provides that the Ministry of Finance may change the predetermined profit margins ex officio or at the request of the taxpayer. A typical transfer pricing investigation starts with the inspection procedure, which involves successive written acts and documents intended to check the taxpayer for its tax regularity and, depending on the case, formalise the tax credit enforcement after all the investigations have been completed. At this point, although the inspection procedure is a public administrative proceeding, the tax authorities have not started tax litigation yet. After the conclusion of the inspection procedure, the tax authorities may issue a tax assessment notice against the company under investigation to formalise the tax credit to be charged against the taxpayer. Tax inspections on transfer pricing issues are subject to a five-year statute of limitations, counted as from the taxable event. In cases involving fraud, a malicious act or sham, the five-year statute of limitations should run as from the first day of the year following the taxable event. In practice, it means that, in such cases, the statute of limitations on the tax authorities' right to issue the tax assessment notice to charge tax differences resulting from transfer pricing adjustments may be extended for up to one year. After the tax assessment notice is issued, the taxpayer is allowed to submit an administrative defence or to start a lawsuit before the judicial courts. In general, administrative courts are more technically prepared for transfer pricing cases, although their members are less independent than career judges. As mentioned above, the taxpayer is allowed to submit an administrative defence against the tax assessment notice issued by the tax authorities, which will be initially judged by a first level council (DRJ). If the DRJ's first-level decision is unfavourable to the taxpayer, the taxpayer is notified to pay the tax debt upheld by the DRJ or file a voluntary appeal to the Administrative Court of Tax Appeal (CARF) headquartered in Brasilia. On the other hand, if the decision is unfavourable to the federal government, the Attorney General of the National Treasury is required to file a mandatory (ex officio) appeal to the CARF. Against the decision rendered by the CARF, it is possible to file a special appeal to the Superior Chamber of Tax Appeals (CSRF) if the interpretation adopted in the concrete case is divergent from the one adopted in other decisions delivered by other panels. An ordinary case generally takes from three to five years to be decided at the administrative level. If the administrative defence ends up unfavourable to the taxpayer, a new discussion of the tax assessment before the judicial courts will be possible. Brazilian tax legislation does not provide for secondary adjustments, which may be defined as a constructive transaction (constructive dividends, informal capital contributions or deemed loans) prescribed to ensure that the actual allocation of profits will be consistent with the primary adjustment determined by the transfer pricing rules. However, in cross-border transactions, a secondary transfer pricing adjustment determined by the domestic law of the other country may have tax impacts in Brazil, not only in relation to calculation of the actual price and the standard price for transfer pricing, but also with regard to the potential levy of IRPJ, CSLL, PIS and COFINS over the amounts received by the Brazilian company. In this respect, it is important to avoid confusion between secondary transfer pricing adjustments and price adjustments. Secondary transfer pricing adjustments may take the form of a new transaction aiming at reconciling the cash position of the parties with the primary (or correlative) transfer pricing adjustment. In these cases, the tax impacts of such secondary transfer pricing adjustment must be assessed in the light of its legal nature, which basically reflects a new transaction which produces effects over the original transaction undertaken by the parties. A different situation occurs when the parties of a transaction decide to change the price originally charged for economic reasons. A price adjustment occurs when the actual price of goods is adjusted by the parties of the original transactions, thereby producing an accounting impact on the selling party's sales figure and on the purchasing party's cost of goods sold figure. Unlike a secondary transfer pricing adjustment, which may take the form of a constructive transaction or an actual transaction, a price adjustment always requires an actual transaction that results either in a price reimbursement or in an additional price payment. It should be noted that secondary transfer pricing adjustments are entirely based on domestic tax law, so that there is no specific treaty provision regulating this subject. Article 9 of the OECD Model Tax Convention does not deal with secondary transfer pricing adjustment, and thus it neither forbids nor requires tax authorities to make such secondary adjustments. A 75 per cent punitive fine may be applied by the tax authorities against taxpayers who fail to comply with the Brazilian transfer pricing rules. Any punitive fine applied by tax authorities against the taxpayer must be duly formalised through the issuance of a tax assessment notice, because the tax authorities are required to meet the constitutional principles of lawfulness, morality, impersonality and publicity. In any case, the taxpayer is allowed to submit an administrative defence against the tax assessment notice or to start a lawsuit before the judicial courts. As mentioned above, due to the use of predetermined profit margins, the Brazilian transfer pricing rules are simpler than the OECD Transfer Pricing Guidelines, as well as more effective in countering base erosion and profit shifting. The problem is that predetermined profit margins can easily result in double taxation, as the other country may well not make a correlative adjustment where the profit allocated to the company located in Brazil does not reflect the arm's-length principle. In addition, transfer pricing rules based on predetermined profit margins often over-tax some transactions and under-tax others. This is because the markup required by the method may be higher or lower than the profits derived by taxpayers. As Brazilian domestic transfer pricing rules are primarily based on predetermined profit margins, with few exceptions, Brazil does not include Article 9(2) of the OECD Model Convention in its tax treaties. Thus, Brazil does not apply a correlative adjustment to avoid economic double taxation derived from transfer pricing adjustments. The mutual agreement procedure has been recently regulated, for the first time in Brazilian law, with the publication of Normative Ruling RFB No. 1.669/2016. The wording of Article 5, Paragraph 2, of this Normative Ruling suggests that Brazil will grant access to the mutual agreement procedure in transfer pricing cases that lead to double taxation, even in the absence of Article 9(2) of the OECD Model Convention in its tax treaties. This procedure would be the most appropriate in the light of Action 14 of the OECD/G20 BEPS initiative, which introduced a minimum standard for improving dispute resolution mechanisms. In this Action Plan, the OECD stated that countries must provide access to the mutual agreement procedure in transfer pricing cases, even in the absence of a treaty provision based on Article 9(2) of the OECD Model Convention. However, as countries are only obliged to use their best efforts to resolve the situation of the taxpayer, it remains to be seen whether Brazil will effectively grant tax relief in transfer pricing cases to avoid economic double taxation. This problem highlights the importance of mandatory binding arbitration, since it puts pressure on tax authorities to resolve treaty-related disputes before the arbitration takes place. Nevertheless, within the framework of the BEPS Multilateral Convention, the mandatory arbitration is intended to apply only to countries that explicitly choose to introduce this mechanism in their tax treaties, which is not the case for Brazil. Indeed, the introduction of mandatory binding arbitration in tax treaties is a highly controversial topic in Brazil. 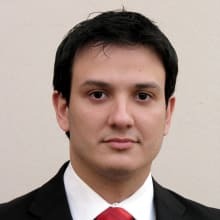 In a nutshell, Brazilian tax authorities argue that arbitration is incompatible with the national tax system, based on 'the principle of non-availability of the tax credit', which implies that tax authorities may not dispose of the tax credit properly constituted in accordance with domestic tax laws. For this reason, Brazil has no arbitration clause in its tax treaties. It is about time for Brazil to change its opinion against mandatory binding arbitration. When there is uncertainty and controversy about the interpretation of a treaty provision that restricts the right to tax of a contracting state, the very existence of the tax credit is no longer absolute and definite. If this is the case, 'the principle of non-availability of the tax credit' does not apply and the mandatory binding arbitration is perfectly possible and even desirable. However, from a practical perspective, it is highly unlikely that Brazil will change its position at the signing of the Multilateral Convention. Therefore, the Multilateral Convention will probably improve the mutual agreement procedure in Brazil, but without the introduction of mandatory binding arbitration. Finally, from an international perspective, Brazilian transfer pricing rules may permit the diversion of profits to foreign jurisdictions, thereby facilitating double non-taxation. Such a situation could arise, for instance, where the extra profit margin allocated to the counterparty abroad is treated as an informal capital contribution in the foreign jurisdiction that is not taxed under the domestic law. the increasing complexity of the arm's-length standard and the functional analysis, which has reached a level that borders on irrationality. As Brazil adopts predetermined profit margins, transfer pricing and customs value adjustments do not affect one another. As the methods used for transfer pricing and customs valuation in Brazil are different, the same transaction may be appraised in different ways, thus producing inconsistent outcomes. Despite the lack of effective integration between transfer pricing and customs valuation in Brazil, Article 18 of Law No. 9,430/1996 refers to the evidence of the actual price through the import document, which raises the question of whether the customs declaration should be seen as the only accepted evidence. According to the Brazilian transfer pricing rules, the taxpayer must prove that its import and export transactions comply with one of methods set forth by Law No. 9,430/1996. However, Brazilian tax law does not specify the documents required from taxpayers, who are free to use all documents available to prove the conditions of their transactions, such as written agreements, invoices, spreadsheets and payment receipts, among others. Thus, the customs declaration is not the only evidence accepted. This is because the administrative tax proceeding is guided by the principle of material truth, according to which taxpayers can prove the facts relevant to the tax assessment notice using any means of evidence. Thus, in contrast to the civil procedure in which the parties are free to decide which facts they wish to put before the courts (the principle of formal truth), the administrative tax proceeding is governed by the principle of material truth, in which the tax judges are also obliged to investigate the facts ex officio. Consequently, the taxpayer has a wide and guaranteed possibility of proving all relevant facts, and by all means, in accordance with the due process of law. It follows that the pursuit of the material truth prevents unjustifiable restrictions on the probationary freedom granted to the taxpayer by the Federal Constitution, mainly through the right to a full defence. 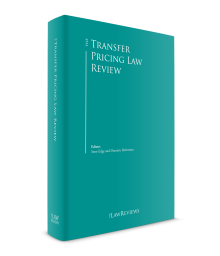 As previously discussed, the Brazilian transfer pricing rules establish objective methods for the definition of the market price, which, by means of a legal presumption, must correspond to the value allegedly used in similar transactions carried out between unrelated parties. The legal presumption serves to render transfer pricing control operational, facilitating its practical application by both the tax authorities and the taxpayers. In the absence of a legal presumption, the tax authorities would be obliged to prove, in each specific case, the manipulation of prices by the taxpayer. The objective methods set out in Law No. 9,430/1996 are based on the establishment of predetermined profit margins, safe harbours and restrictions on free comparability as a way of reducing subjectivity and uncertainty in transfer pricing control. Even in the comparative methods authorised by the Brazilian tax legislation, such as PIC and PCI in import transactions, as well as PVEx and PECEX in export transactions, the tax legislature has established several restrictions to reduce the sample of comparable prices and the degree of subjectivity in the application of the law. The merits of Brazilian transfer pricing rules lie in their effectiveness, practicability, reduction in administrative costs and enforceability. These rules are simpler than the OECD Transfer Pricing Guidelines, as well as more effective in countering base erosion and profit shifting. However, these rules may create to economic distortions and affect competition. Moreover, predetermined profit margins can easily result in double taxation, as the other country may well not make a correlative adjustment where the profit allocated to the company located in Brazil does not reflect the arm's-length principle. Finally, in an international setting, the Brazilian transfer pricing rules may permit the diversion of profits to foreign jurisdictions, thereby facilitating double non-taxation. Such a situation could arise where the extra profit margin allocated to the counterparty abroad is treated as an informal capital contribution in the foreign jurisdiction not taxed under the domestic law. In turn, this suggests that the realisation of an international consensus on the future of transfer pricing would appear to be unlikely in the short term. 1 João Francisco Bianco and Ramon Tomazela Santos are partners at Mariz de Oliveira e Siqueira Campos Advogados. 2 Decision No. 9101-002.315, of 3 May 2016; Decision No. 9101-002.524, of 12 December 2016; Decision No. 9101-002.175, of 19 January 2016; Decision No. 9101-003.203, of 7 November 2017; Decision No. 9101-003.373, of 19 January 2018. 3 E.g., writs of mandamus No. 1007189-70.2016.4.01.3400; No. 1005300-81.2016.4.01.3400; No. 0013044-60.2015.4.03.6105, among others. 4 Decision No. 9101-002.313, of 3 May 2016; Decision No. 9101-002.174, of 19 January 2016. 5 Decision No. 9101-002.317, of 3 May 2016; Decision No. 9101-002.512, of 12 December 2016; Decision No. 9101-002.446, of 21 September 2016; Decision No. 9101-002.952, of 3 July 2017. 6 Decision No. 1301-002.185, of 25 January 2017, Decision No. 1402-002.814, of 24 January 2018; Decision No. 1401-002.279, of 22 February 2018. 7 Decision No. 9303-006.245, of 24 January 2018. 8 Decision No. 9101-003.357, 18 January 2018.